I feel like the White Rabbit in 'Alice in Wonderland. Oh why didn't my reminders that are set up in Outlook work? Oh where did the time go? I am sure that you are wondering just what I am stressing about? Well I am not sure that stressing is the appropriate word in this case. It's more like excitement. 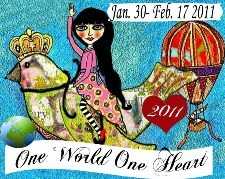 One World One Heart 2011 has began and I am actually going to participate this year! So now you can see why I am so excited! I haven't made up my gift yet because it all depends on the winner. Once a winner is chosen then I will find out their favorite colors and stone all so I can design them up a necklace. I am so looking forward to working with the winner so be sure to leave a comment so that I can put your name in the hat. If it weren't for my Outlook calendar and reminders, nothing would EVER get done. And I still have a paper backup, but not for the LITTLE things, like "order this" and "post that", you know? i'm not very picky...although turquoise really transports me to the ocean! snowy greetings from new jersey! I am so happy to meet you! I enjoyed visiting your blog, and I hope you will visit me, too! A personal necklace is really beautiful. Oh goodie, I am the first. So pleased you didn't miss the date!!!!!! I love red and most stones! Please call in on me at #100 if you get the chance. Hi from Australia thanks for letting me enter your mystery giveaway. as I drink my hot and spicy cinnamon and apple tea! What a great idea. A mystery prize designed especially for the winner. Please count me in. Pop on over and enter my giveaway if you have the time. G'Day from Brisbane! Thank you for visiting Homemaker Honey and entering my OWOH giveaway. I'm here to say, "hello", and enter your giveaway, too. If I win, pink is my favorite color...stone..not sure - surprise me! I love how the background of your blog looks like waves! I love surprises! Thanks so much for stopping by my blog and entering my give away. This is my second year to participate and it's so much fun. I'm glad you were able to make it! Well have fun traveling around meeting new bloggers and catching up with old ones! In love with your blog...wonderful giveaway (my favorite color is red ; )! I happened here through OWOH. Don't beat yourself up about timing. It was a lovely visit. Thanks for participating and introducing yourself. hmn... I'm pretty sure you won one of my beads in a previous OWOH? Yes? No? Anyway, I'll pony up for a mystery necklace! OOh so excited to maybe win something made just for me! So fun. Hi there! I'm visiting you all the way from Thailand! count me in your give away. Thank you for being apart of the OWOH journey! I am meeting so many wonderful bloggers, including you! Great! A wonderful Giveaway and very nice blog. I'm hopping around the world tanks to OWOH !!! Thanks for the chance to win your great prize. Lots of greetings from Belgium. This is a great givaway, what a great idea ! How nice to personalize your gift. It was nice to visit you. Thank you for your generous giveaway. Don't forget to visit me too! Hi!! Enter me in too! Your door prizes are stunning!! I hope to win your BJD she is too gorgeous! A custom-made necklace? How WONDERFUL- and the perfect memento to remember OWOH and our new friends! Should I win... I love RED! Nice to visit another beader. My current blog is on papercrafting; but I started out beading. Stop by my blog to see the bead wovennecklace I am giving away. That sounds exciting - a OOAK just for me! Well, if I win that is... Fingers crossed! Thanks for dropping by my OWOH post earlier. A necklace made to order? Sounds wonderful - how very nice. Thanks for visiting me. we moved from outlook to gmail & I'm still not doing something right because my reminders come up after the event. so i know how frustrating it can be! Off to check out more of your blog! How exciting! Surprises are the BEST!!! What a brilliant idea to make it personalized!!! I love every color! It is so nice to meet you....I am in New Orleans. Happy OWOH! Thank you so much for visiting with me today. Ohhh a personal necklace just for me...how sweet..thank you..oh wait..I have to win first. Awesome and lovely idea!! I love that you are personalizing the gift to the winner. Thank you for visiting my blog. I love the background of your blog! Shaiha! Wow, that does sound wonderful! I DO like jewelry, especially jewelry made from stones! Happy OWOH to you! Thank you for sharing your talents and your blog--I'm playing along, as well, so stop by if you get the chance! Ciao! I am so happy to meet you today on the wings of OWOH! Thanks for visiting me and giving me a chance to win your wonderful giveaway - and I get to pick the colors if I am lucky enough to win - fantastic!! What a fun way to offer your prize..I'd love to win it, so toss my name in the hat please! If you are out and about in the blogshere come on over to #521 to meet me! How cool...custom made prize. Thanks for the chance at your doorprize! And for stopping by my giveaway as well. What a lovely giveaway! Thank you for your generosity and a chance to win. Please stop by my blog, I'm #323. Thanks for stoppiong by my blog, and count me in for your giveaway! Thank you so much for stopping by my blog (3AM Designs) and leaving such a nice comment about my necklace! I've enjoyed my visit to your blog - like your idea of handcrafting a necklace for the winner. Love your background, by the way! Thank you so much for stopping by my blog tonight. I would love to enter your giveaway and think half the fun is getting surprised by what I'd get! Please enter me in your drawing! It was nice to meet you! Well, that just sounds like fun! Thanks for this great giveaway! jinglesells at gmail dot com. I'd love for you to visit mine! I'm #357! Thanks for stopping by my blog! I would love to win your giveaway!! Thanks so much for stopping by and entering my OWOH! Please add me to your list! I would love to win! A surprise necklace is a great prize. Thanks so much for the chnace to win something custom made for me. I hope you have a wonderful OWOH flight ! What a fabulous idea for a giveaway.... Thank-you for the chance to win. Well I am happy that you are putting forth the notion that we get to have a piece designed just for us (I mean whomever wins!!). What a great idea. Please enter me in your give-away-to-be and come enter mine! Hi Shaiha, thanks for visiting me, how very intriguing. Please add me to your list. wow what a nice blog very cool and that you are going to make a custom piece very sweet!!! Please put me in your hat! I love the idea of the unknown present!! wow, how wonderful! to let the winner pick! :) Please include moi! Yea I posted late too! Thanks for stopping by my blog #380 on your tour! I'd love to see what you come up with designing me a custom necklace! A surprise necklace - how exciting! I've enjoyed browsing your blog and look forward to returning sometime soon. I'm having a great time going "round the world" with people's blogs. Thank you for sharing yours. Nice to meet you Shaiha!! Hey there Shaiha, greetings from southern California. What a wonderful place to land on this OWOH journey. How fun to win a custom necklace from you. I want it ;-D. Thank you for giving us all a chance to do that. Thansk for coming by too!! If you get a chance come by my blog #442 on your flight and spend a little of your precious time with me. I am so excited to participate in my first OWOH blog tour . I hope I am lucky enough to win. Hi Shaiha, nice to meet, a ooak necklace sounds lovely! It's nice to meet you! I hope you pick me. After you see my blog you might think orange and black are my favorite colors. They are. I am also very fond of yellow. Thank you for this generous gift! Thanks for dropping by my blog. If you visit everyone on the list I reckon it will take 3.5 days of continuous computing to visit every blog, but I admire your intention!Please enter me in your draw. It'd be lovely to have a surprise necklce made especially for me. Even with reminders I don't get many things done on time. Lovely gift you are giving away. Just flying in from Wyoming! Thank you for visiting my blog. It was fun having you. I can't wait to see what you make for me when I win your necklace. :-) Please enter me in your drawing. How wonderful! A necklace made just for the winner! I'd love to win a personal necklace made by you! :) Please enter my name into your draw! And pop over to my blog and enter mine, too, if you haven't done so already! What a fabulous prize. I would love to win. Please enter me in your giveaway. A personalized necklace is a wonderful idea for a giveaway! Thank you for including me in your draw! I love surprises! Thanks for the chance to win and please visit me at Irish Muses #678. Thank you for offering such a unique and personalized giveaway. I enjoyed looking around your blog & will be back when things are less hectic! I hope you can stop by my blog at #331 and enter my giveaway, too! Please enter me in your wonderful giveaway - I would love to win your stunning jewellery. Thank you for your generosity. I hope to have my OWOH posted in the next couple of days so please visit. I love surprises. Thanks for stopping by my blog. I'm definitely having fun blog hopping. Hi there! Intriguing! Thank you for visiting my blog too! Such a bright happy looking blog you have! Love your giveaway. Sounds very interesting. Hope your having fun with OWOH. Thanks for stopping by and visiting my blog on your world tour of wonderful blogs in this last OWOH event. I enjoyed looking thru your blog. I will be back after OWOH is over. Thanks for the opportunity of winning your lovely giveaway. Hello from Iowa, it's nice to meet you! I enjoyed stopping by your blog and would love to be entered in your giveaway. Greetings Shaiha from a fellow blogger/crafter in the UK. Thank you for visiting me and for being part of this amazing journey of happiness. Nice to meet you. You know what? I am also participating on Loris' Bead Soup Blog Party. It is my first time on botoh events, but I am really enjoying myself. Us too Shaiha, this is our first OWOH event. I am returning your visit to our blog (#208 on Lisa's fab list) thanks for visiting us! jewellery I adore, please enter us in your prizedraw too. Great tour on your blog. Lovely personal doorgift, count me in, please! Ooh sounds intriguing and mysterious... I love it! thanks for visiting my blog too! Thank-you so much for visiting my blog during this wonderful event! I would love to be entered in your draw for a custom necklace...how exciting. Enjoy bloghopping! Thank you for visiting my blog. Please count me in! Oh, so exciting this giveaway and so personal. Thank you for making this so special!! Thank you for your visit to my blog and for your comment. I would love to win your giveaway (my email is in my profile)!!! Please count me in. Glad you jumped in. I seem to always be late so I understand. Thanks for visiting my blog and count me in on your prize, please. Wow! What a fantastic idea. . .
Definitely count me in. . .a girl can never have enough jewellery, especially if its in her favourite colour! thanks for stopping by my blog! I love women with opinions! I usually have more than a few of my own to share! 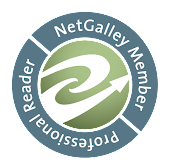 I am a reader too, and never thought to review books on my blog. What a great idea! Well I'm glad you made it in time, and who could pass up a custom made necklace? Not too late at all! Glad you are on board! Hope you have fun visiting too, I sure am. A necklace designed specially just for me? How awesome! I love that idea. Thank you for stopping by my blog and entering my OWOH giveaway (831), good luck! thank you for stopping by and leaving a comment on my blog - it's so nice to "meet" you. I would love to win a necklace - especially one that's made special! please toss my name in the hat........and enjoy OWOH! How generous of you!! to make some special for the winner =D. Thank you so much for the chance!! come to visit me if you haven't already. Hmmm...I'll have to take a look at Outlook. I keep three paper calendars going and not sure I can give them up for computer calendar. When you've time, please visit me at Thistle Cove Farm. Thank you for your sweet prayers for my son and daughter. You are so kind to stop by and I appreciate your compassion. Blessings to you and enjoy OWOH..
﻿we all love surprises!! sweeeet! Thanks for stopping at my site #833! WOW!!!!! you are so prolific and so diversified,what an inspiration. I am in awe of ALL your blogs. Please include me in you mystery design give away! It would be an honour to wear your creation. Red,Pink and Black are my colours. Please enter me in your giveaway and come over to my blog-#348 and try your luck there. Thanks! Wow what a fabulous door prize. Please add me to your drawing. Thanks for stopping by my blog to visit during OWOH. I really appreciate it. I hope you visit again soon. And thanks too for participating in OWOH event. I'm having such a grand time getting to know new people out in blog land. A surprise- how fun! I would love to have my name entered in your drawing and please come visit my blog lucky #777 on the ever growing list. That is such a nice idea, a personalised necklace. Hello from Canada! Relax Shaiha, you're here now. And so are we! Hello from NY. What an amazing giveaway a chance to have a custom necklace! Thank you for adding my name to your giveaway. So nice to meet you! I'd love to win your lovely necklace giveaway! I would love receiving a necklace made by you. Also thanks for the link to the beads draw. I have never had a personalized necklace made for me before. What a gift! Please enter me in your giveaway and visit me, if you haven't already. I'm number 11 and my information is on my profile page. Such a shame this is the last OWOH isn't it. It has been so much fun visiting everyone. Thanks for making something special for the giveaway. jewelry. Please include me in your doorprize giveaway. Hello from Oregon! Thanks for letting me peek around in your blog and enter your giveaway. I would love to have a necklace designed just for me. Please feel free to come to my blog and enter for my doorprize as well! Hi from chilly England! Thanks for letting me take a peek into your world. My fave colours are blues and greens, in case you need to know! Please count me in and if you get a chance pop by my blog #404 a warm welcome awaits. I love it that this gift is personalized and I would love to be the winner. Please add me to the giveaway list and come over and visit me too. I am #229 on the list. hello, thanks so much for the chance to win your made for the winner giveaway! if you haven't yet, i hope you can come and visit me at http://peggyapl.blogspot.com and join my OWOH giveaway. a big howdy from montana! thank you for letting me mosey around your blog. you are very talented and i have enjoyed my stay and will return again soon! a customized necklace will be so extra special! please add me to your drawing. stop by my blog and drop your name in my hat, too! A mystery giveaway is always fun - especially when it is jewelry from a talented artist! Thank you for participating in OWOH 2011. I hope you get a chance to pop by my blog, #51, on your journey. Hello Shaiha! Greetings from Chilliwack, BC, Canada! Thanks for dropping by my blogs during the OWOH 2011 hop! Hope you’ve had a fabulous experience! It’s a pleasure meeting you! im sure your owoh prize will be beautiful..thanks fo rstopping by my blog too. Lovely blog and lovely giveaway…I hope I win. I'm a jewelry artist of sorts, a watercolor painter, and over all creative adventurer! Please enter me into the OWOH give away. I hope you can visit my blog, too. I'm giving away a shabby chic denim necklace. Come any time to chat. Thank you for your generous giveaway. If you haven't had a chance, check out mine at #511 and #515. Oooo, a personalised piece would just make it all the more special!! Hello from Florence Oregon it is nice to see you. Please count me in on your giveaway. Hi Shaiha, I would love to win your surprise. How sweet! Please visit my blog, too. I am the author of "16 x MOM: A Mastery of Motherhood." I am giving away my book and a couple of laminated 4 leaf clovers. Count me in for your give-a-way, and I hope you can swing by and visit me as well. Greetings from Virginia! I would love to be entered into your fabulous drawing for a chance to win a necklace created by you. I would also love for you to hop on over to my blog for a visit. I am #78 on the OWOH participant list. I'd love to win one of your necklaces!! !